In the recent years, more and more companies tried to increase their knowledge about their consumers. Since the beginning of any form of trade and market, the knowledge about who are the people you are talking to is one of the crucial steps to increase the profit. Airbnb, the most famous hospitality service, is steadily increasing its business and the company recently announced plans to launch flights and service recommendations too. So, in order to play on multiple fronts they started to think about new forms for collecting data. 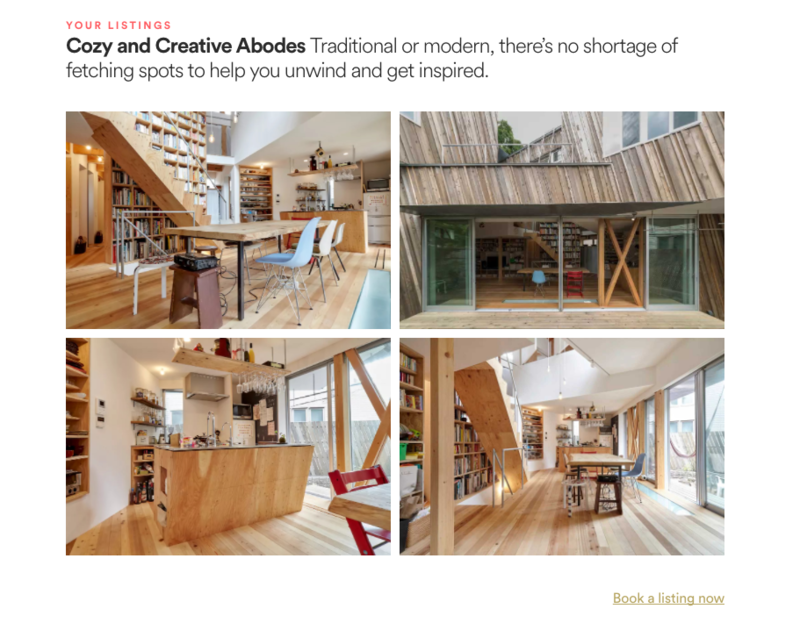 Airbnb with a simple and funny feature has started to explore the possibility to discover also the personality of the users in order to give them the best choice possible about houses and activities to increase the users’ satisfaction. 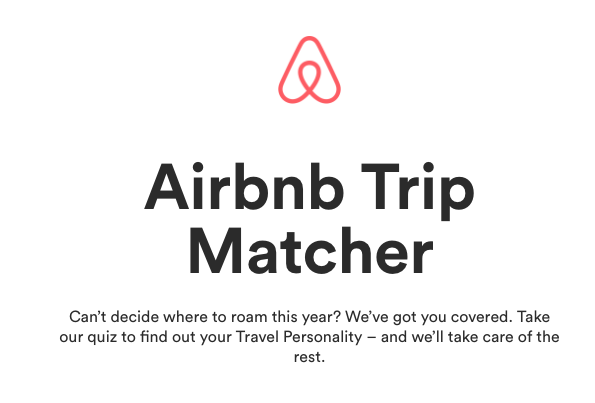 This feature is a new Trip Matcher based on your personality. Basically, this new tool is a quiz aimed to analyze your personality and then advice you a series of new house. How do you feel? What is your human nature? Are you an artist? A nature lover? 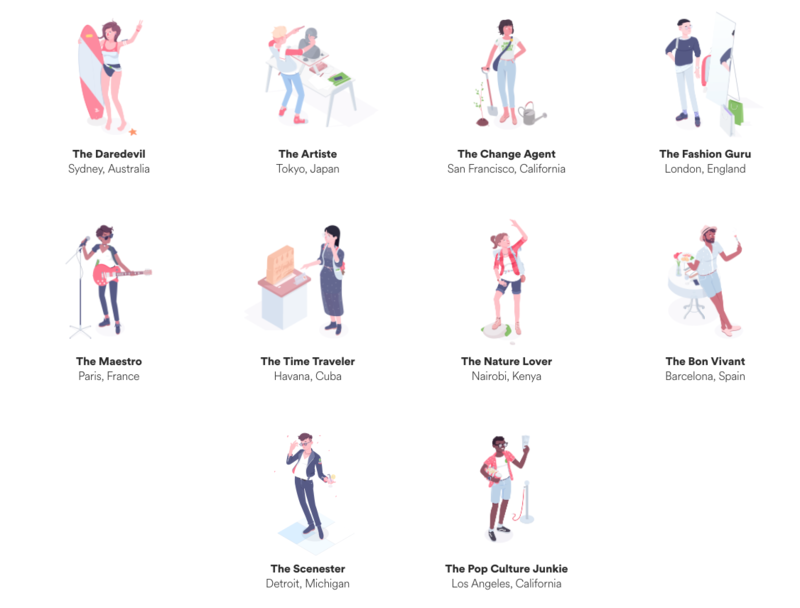 Airbnb designed ten different types of travel. After the finishing the questionnaire they suggest the perfect city for your personality traits and then they suggest a set of house in that city that can fit your human attitudes. #DestinaitonPersonality and traveler personality could be the turning points for improving emotional marketing researchers. Our research work is focusing Brand & Destination Personality for different audiences, residents, and tourists. Brand & Destination Personality is the application of human characteristics to a brand or place. A typical process that people incur when buying and traveling. They already have in mind an idea of the brand or place and its features, a picture that still needs to be authenticated through their direct experience. A distinctive and emotionally attractive Brand & Destination Personality is shown to leverage the perceived image of a brand/place and influence consumer behavior. Moreover, it can be helpful to measure the gap between identity and image, measure customer satisfaction/experience and indirectly predict re-visit intention and promotional behavior.